Time to find out what happens right after that snow covered kiss. 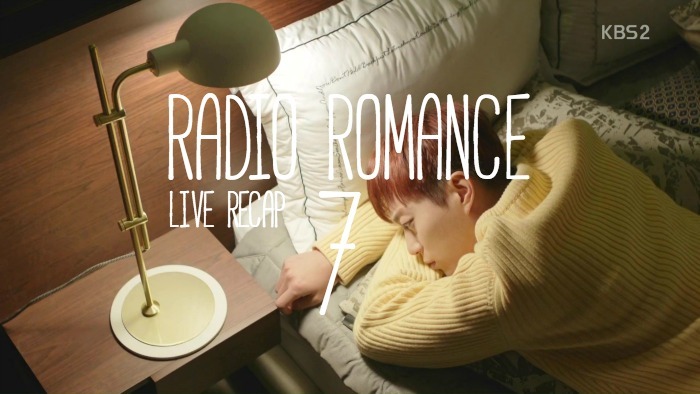 This is the live recap for episode 7 of Radio Romance. Episode 8 will air right after this one ends. This is the same schedule as last week, which is due to the Winter Olympics, but I think they will be back to the regular Monday/Tuesday schedule starting next week. In addition, you might have problems watching it live on KBS2, due to Olympics as well. We have had a few requests for back ground music from Radio Romance so we are going to try and put a music list together for this drama. We’ll try to post it this week sometime. We are outside after the radio show. GR runs through the snow and then turns around and hugs SH. She had a dream that she would mark this (stamp this) and she is so happy to JSH for making this dream come true. But she has a question. She really liked his line about smiling and crying and that doesn’t make you happy or not sad. She thinks they have a connection. Flashback of little JSH and GR. GR tells JSH the exact same phrase about smiling and crying. She pats him on the back and he tears up. Back to the field, JSH wants to know if GR really doesn’t remember him? He covers her eyes and he moves in for a kiss. We see the same kiss from when they were young. But GR pushes him away. She wants to know what he is doing. But she tries to play it off. She apologizes for hugging him because she was so excited. He was the same, right? She keeps talking about going crazy and being happy. But JSH says no. He doesn’t know why he is doing this but he cares about her and he is curious about her. GR answers the phone call and tells the PD that they have wrapped up everything and they are together. PD tells her that he is coming there to pick them up. He hangs up and JSH says that he will drive. Let’s go. They are awkward in the car. JSH honks for no reason. He is just touching all the car functions like the turning light and the windshield. She thinks it is so cold and JSH turns on the AC. GR wants to know why he turned on the AC? They are so awkward, perhaps they should listen to some radio. They turn on the radio to some upbeat music and just listen to it. But then we cut to the car parked. JSH is trying to say something, but he can’t talk. GR says that he has said “Uh” for two hours. Tell her what he wants to say! JSH says that he isn’t prepared today. GR wants to know what is there to prepare and JSH says that he will tell her tomorrow so just get out, leave. GR gets out annoyed and JSH drives off. She goes inside to her place and curls under the covers. She wonders what he is going to tell her tomorrow and she has a vision of the kiss. But she tries to shake that thought away. In JSH’s place, he is turning on and off his light again. He can’t sleep as well. In the morning we see him sitting on his couch and staring into nothingness. Jason comes back all happy. He wonders how his favorite patient is doing. JSH wants to know how he can do something without he himself noticing it. Jason says that maybe something JSH really needs in his life is coming out. He always tells his clients that they shouldn’t think about things too much, they should just do things. GR goes to work and Kang tells her that they have a lot of presents from the school. They were a big hit yesterday. He thinks that she has grown up a lot. She doesn’t answer his phone calls. GR goes to the desk and looks at a plant. Kang senses something, did something happen with JSH? Cut to some radio people talking about the radio program. They think it was a big day for GR because JSH actually read her script and the program was a hit. GR comes up to them and says that she is lucky, but she is also having a hard time. JSH and his mother are meeting at a museum or someplace like that. JSH wants to focus on the radio right now and he wants his mother to empty his schedule. The mother wants to know why he is so changed. Is it the writer, Song Gu-rim? JSH doesn’t answer and just storms out. Kang and GR stop at a ddukbogi stand. GR wants to know why Kang wanted her to cast JSH. But he doesn’t really answer and they leave. They get in a taxi and Kang calls GR youngest again. He wants to know why she is thinking of something else, did she finished her script today? Then we see GR giving Kang her script back at the radio station. Kang wants her to write something that the people might want to listen too. He gets up and GR asks him why he picked her as the main writer. Kang tells her that he wanted to see how much she could do and how hard she could work. He wanted to work with her even if she didn’t cast JSH. He just wanted to see if she would try to cast JSH to the end, that is why he picked JSH. He tells her to not give up, that is what will make her a good writer. He thinks back to what Jason said. Perhaps what he needs in his life is coming out right now. He tries to shake off the thought as he goes to work. But he keeps thinking about what he told GR last night, doesn’t she remember him? But he shakes that off and tries to open the door. But Kang opens it first and comes out. JSH and GR are uncomfortable and Kang notices it. So, of course, he invites JSH out to coffee with them. They get their coffee and Kang holds the door for GR but closes it in front of JSH. Kang keeps talking to JSH. How does he feel doing the show without a script? Then he thinks his coffee is too sweet, he wants GR’s. GR thinks that he shouldn’t call GR the youngest and asks to see GR by themselves. They meet off by themselves and GR tells him that it was a mistake. They should be careful if they want to see each other as a writer and a host. They shouldn’t make each other uncomfortable. JSH argues that he always told her that she made him uncomfortable when she was always hanging around him. But now she is telling him that she is uncomfortable? Then the PD calls. JSH tells her that the PD calls her too much! Cut to JSH trying to get his own cell phone. He has his scarf wrapped high around his face and tries to write down all his info, but he calls the company man instead. The company man comes to his rescue, cut to JSH with a phone, finally! The company man wants to know why SH wanted a cell phone, but JSH is too busy adding a phone number and calling it. Meanwhile, GR is in a cafe. She gets a call and doesn’t know who it is, she looks at the phone. JSH tells her that she should be responsible. He does the broadcast with her script and without knowing the script he can’t do the broadcast well, so she should send him all of her scripts. GR tells him that she can’t go to his home and walk around by herself. But he says that she just walked around by herself. He tells her to come, right now, this instance. 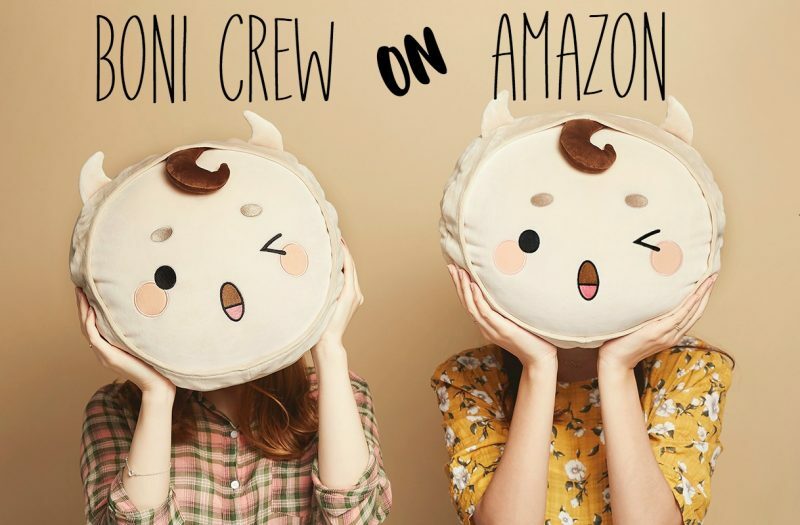 Click. Then we see that JSH is preparing a huge meal in his house with 3 chefs working on the food. Jason thinks that JSH is all grown up now and looks impressed that JSH has invited GR over. But then we see Jason writing an email to someone. He gets a call and says yes president to the Boss mom? GR has shown up at the home. JSH speaks to GR in banmal now and tells her that she shouldn’t be called the youngest. Then he asks her about Kang, he wants to know all about him. GR wants to know why he wants to know about him and JSH says it will help their working environment. GR starts to talk about Kang, he won a lot of awards. But JSH says that he also won a lot of awards! He went to Cannes even. Whatever GR says about Kang, JSH one-ups him. GR finally says that Kang said she could be a good writer and JSH says, “I told you, you are a writer!” GR wants to know why he is so extra and he stops a little bit. They sit down to eat. GR asks if he made it all and JSH says that he ordered it. They quietly eat, but then Boss mom comes in with Jason. GR stands up immediately and apologizes for being there, she goes to grab her things. But then Boss mom starts to talk. She says something disgraceful and JSH says that his mom shouldn’t say dawee to her. The mom wants GR to leave, but JSH tells his mother that she would leave. She should leave while he is telling her with a smile. But the mom just stays there so JSH tells GR that they can leave together. They leave and JSH tells her that he can give her a ride, but GR says that she can take her car. But JSH wants to drive her so that he doesn’t have to be at home right now. They leave together. He says that she can ask him what happened, but she says that she won’t ask him about those things. They get to her home and GR says that she will just tell him one thing with love. She tells him not to do that, he is always spiked and not right. It is not like he is doing it to others, but he shouldn’t do it to himself as well. If you hurt other people then you will be hurt as well. He shouldn’t say these things while smiling either, it isn’t funny at all. He wonders how she hasn’t changed at all, he has changed but not her. GR wonders if she has met JSH before. TR and the company man meet outside a building. He wants to know what she wants. She says that he knows what she wants. Should she go up and get it? But then she has a call from Boss Mom. She goes to meet her. At the meeting, the Mom wants to know what the synergistic effect is with her meeting. What can she give the mother? Then the young idol comes in. She confronts the mother about canceling all of her things because TR is in it now. The Mom wants to know what the deal is? The idol girl knees and apologizes. It actually looks like TR feels bad about this, but she doesn’t say anything. Cut to Boss Mom and TR walking. The mom says that she is giving TR a chance. So many people bug her for a chance and she is giving it to TR. She needs to start a rumor with JSH. GR and her Mom talk about the phrase that JSH said about being sad and happy. We see a flashback of when GR practiced being blind, she says that she had a friend back then, does the mother remember that guy? Then we see GR at her desk at home. She has a box that she opened and is looking through. She opens all the mail. It is from the boy. His name is Woo Ji-woo and he is a little shy to talk to her. JSH also pulls out a box and starts to flip through it. They are old letters as well. RH tells GR that she will read her script so that she will be less embarrassed. But GR tells her that JSH already reads her scripts. She hand wrote the scripts, so there is no copy to share. RH thinks, hmm…hand written scripts? Meanwhile, TR is taking a lot of Instagram selfies and posts them. Who is her partner? JSH reads the script that talks about Alice and the Cat. He is in the studio and that is when RH comes in and introduces herself to him. JSH remembers her, she said that she could cast JSH, GR becoming a writer is even higher that JSH becoming a radio DJ, right? RH thinks….yes, that is right, ha ha ha. She leaves and starts thinking evil plans. She thinks about the written copy of the script and then calls someone. GR gets a call (or calls) the little boy from the countryside. He called to say hi and to ask something about JSH. GR says that she will ask him. JSH comes in at that moment and GR tells him about the little boy. JSH says that he will do the live phone call so long as GR sits next to him. Cut to them in the studio together. JSH tries to practice, he wants to say something but he thinks something isn’t right with the script, but GR says how can he say it like that. She sighs and says that she will pay better attention to the next script. But something is wrong with the script. JSH flips through it, it is empty. GR gets up and looks at it and then looks at the production team. But then GR accidentally spills water on the keyboard, it doesn’t work anymore. ON AIR. JSH starts to talk on the phone. He reads the first part of Alice and Wonderland. He says that when you don’t know which way to go, it doesn’t really matter, who you go with is what matters. JSH’s radio romance is starting now. In the production studio, Kang wonders why JSH did that. Inside the studio, JSH says that he memorized everything. He memorized all of her handwritten script. GR smiles as she thinks about this. She is in her office and pulls out a picture of JSH and GR kissing. She (or someone) wants to know how this picture came to be. It looks like it might have been taken from a CCTV? It is their commercial break, but they are about to come back on. They come back on and JSH asks the little boy how he is. They talk a little bit. The boy says that he is writing his friend letters and will give them to him. But then the boy asks what happened with JSH’s friend. He basically tells her to find that person, their goodbye doesn’t have to be goodbye. Meanwhile, GR is having all sorts of problems outside. Her script was taken and copied or something like that? Rh is making a big deal about it and has spread it around to the other writers. Kang comes out and tells them all to give the script to him. He yells and they do it. Then he addresses GR about it. He tells her to wise up. She should be tougher as his writer. He will kill her! JSH sees this and wonders why GR would want to keep this guy around. He tells this to Jason. Jason wants to know how JSH protects GR? Then we see a little montage of JSH doing little things to protect GR. But he can’t really explain why he tripped her. Jason wonders why he tripped her? Did he stop maturing? Meanwhile, GR is depressed back in the writer’s room. Kang talks to her about JSH. He tells her that JSH is leading her too much. She shouldn’t be swayed as a woman. Back at his home, JSH listens to the radio and studies something. GR crashes RH and Sung PD’s party. She starts to drink with them. But then GR tells RH that she should be happy that GR is succeeding. She should teach her! She didn’t like or respect her, but she thought of her as her sunbae and her leader, that is why she said yes, yes, all the time. She thought that RH would treat her as a hubae someday if she did those things. But we see a flashback of RH and Sung PD talking about using GR and GR overhearing them. So, back in the cafe, GR wants to know why RH didn’t teach her anything at all. It looks like she might have gotten through to them because RH and Sung PD look sad. GR leaves and goes home on the bus. Back in the cafe, RH says that she hates GR because she doesn’t cry or resist. RH looks like she shouldn’t be like that. RH says that her light is on and off back at her house. San PD tells her that he said that he would help her when he proposed to her. RH tells her that this is why they broke up. They start to talk about all their slights to each other. Like when Sang PD’s mom had a back injury and RH didn’t do anything but go to a nail salon. RH thinks that is a great comment and she starts to write it in her phone. JSH is being pushed around by his mom again. He has to take a photo at a party with TR. JSH storms out of the museum. At the radio show, TR gives GR an invitation to the party. She says that she should come since she is her longtime fan. Cut to JSH and the company man talking. They argue about this scenario of JSH being hooked up with TR. The company man says that they should break up. They argue about their relationship and how the company man reports everything to his mother. We see a flashback of the company manager telling everything to JSH’s mother when they were kids. JSH overhears this and walks away. They don’t notice him. The party is popping. TR calls someone. JSH is also calling someone, GR. The person TR called is GR also. She tells her to come to the party and GR says that she will. Meanwhile, JSH is steady calling GR and she isn’t picking up the phone. He texts her: where are you? Then he thinks that she was following him around so much. GR shows up at the party. She looks very out of place. TR sees her and goes up to her. GR tells her that she feels out of place, but TR tells her that JSH will be there too, so she should feel more comfortable. Then JSH calls GR and TR wonders, JSH has a cell phone? GR doesn’t know how to respond. Back at JSH’s home, he gets a call from an unknown number. He picks it up and it is TR. He immediately asks her how she knows this phone number. TR tells her that his writer (GH) is here, and that is all JSH needs to hear. At the party, TR sits with GR and tells her that JSH is coming. Did JSH tell her about them? She will tell GR first, she is actually dating JSH. Meanwhile, JSH keeps calling GR and she keeps ignoring the phone. GR gets up and walks around, then she runs into JSH. JSH tells her that she was the one that told him to buy this phone. He tells her to pick it up and he tells her to not avoid his calls anymore. Then he tells her to follow him, he wants to tell her something. They walk to a quiet area where they are all alone. He wants to tell her something, something he wanted to tell her that day. He likes her. He likes her.